 Braving the Elements - ONRAD, Inc.
Advance for Imaging and Radiation Oncology | A blizzard pummeled the northeastern U.S. on Dec. 26-27, 2010, burying cities in knee-deep snow. The storm snarled traffic and left thousands camped at airports with blowing snow and icy roads at the end of the busy Christmas weekend. New York City and its surrounding areas were the hardest hit by the storm, which swept up the Atlantic Coast on Sunday night and continued up to the Monday morning commute. We got a walloping to say the least! When there’s a crisis or emergency of some sort, health care workers are some of the most dedicated and reliable people I know. Even though their families were facing critical problems resulting from the weather, they made it to work. In my hospital, many staff members stayed overnight, working past double shifts into triples to make sure they provided coverage. Many diligent staff members dug out early and made it to work to keep operations running and provide the much needed relief. Some of our technologists and an interventional radiologist who have four-wheel-drive trucks even went out into the storm to rescue fellow employees who got stuck on the treacherous entrance ramps to the parkway on their way to work. Talk about team work! There was no complaining about workload or breaks, just concern for those who hadn’t made it in yet. And, people did whatever was needed. One of our nuclear medicine technologists was awaiting doses, so we forwarded the phones and off to the kitchen he went. His parents had owned an Italian restaurant, so he made pizza in the kitchen and was able to help until more food arrived. I gave out sandwiches to visitors stranded in our lobby and directed them to a place to freshen up. Below is a letter written about a Delaware hospital from the governor’s blog; it should serve as a reminder as to why exactly we got into the field of health care and imaging in the first place: to serve. Read the letter from a patient’s family on Advanceweb.com.